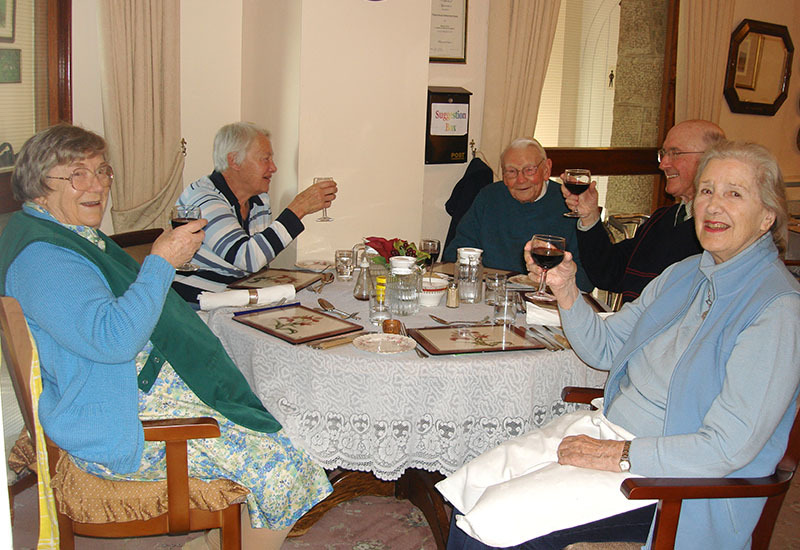 Tracey House Retirement Home in Bovey Tracey, South Devon. Tracey House Retirement Home in South Devon. 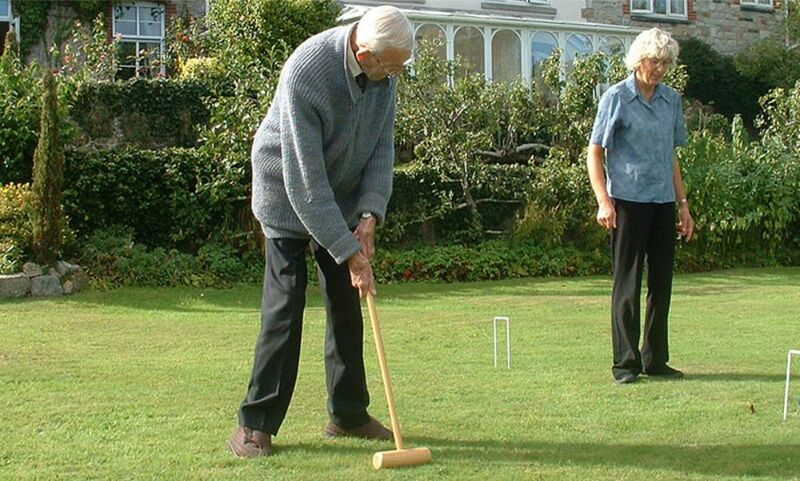 Here at Tracey House Retirement Home in Bovey Tracey we offer a high standard of care among care homes in Devon. 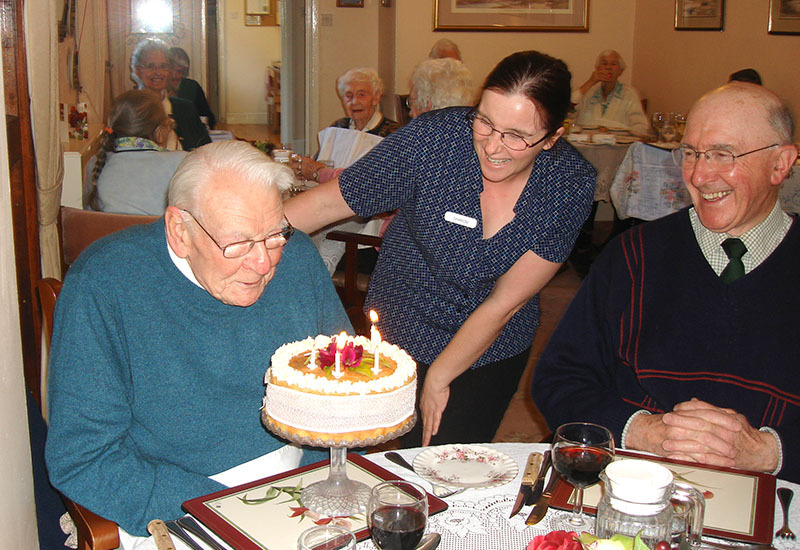 We aim to hold elderly people in the highest possible esteem and to offer a rich quality of life to all of our residents, with the greatest freedom of choice and independence consistent with their needs and abilities, in the safety, comfort and love of our home. 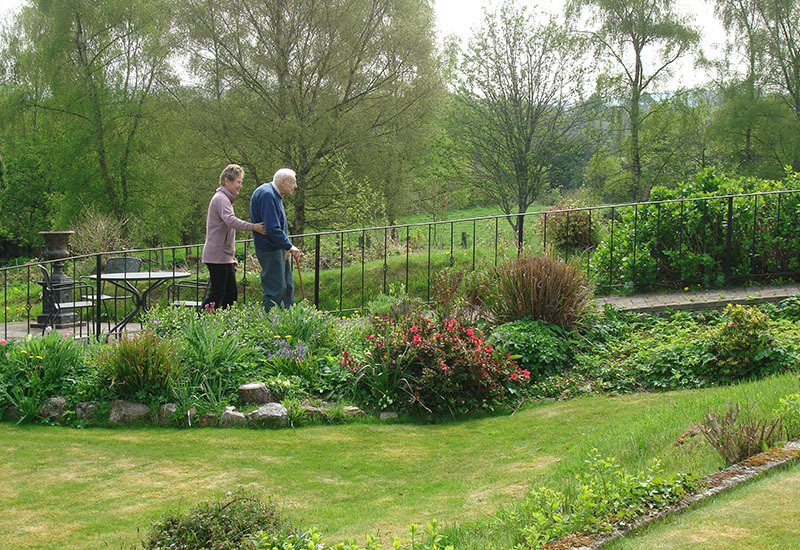 See the lovely gardens which are an integral part of Tracey House. We encourage Residents to pursue whatever activities appeal to them. 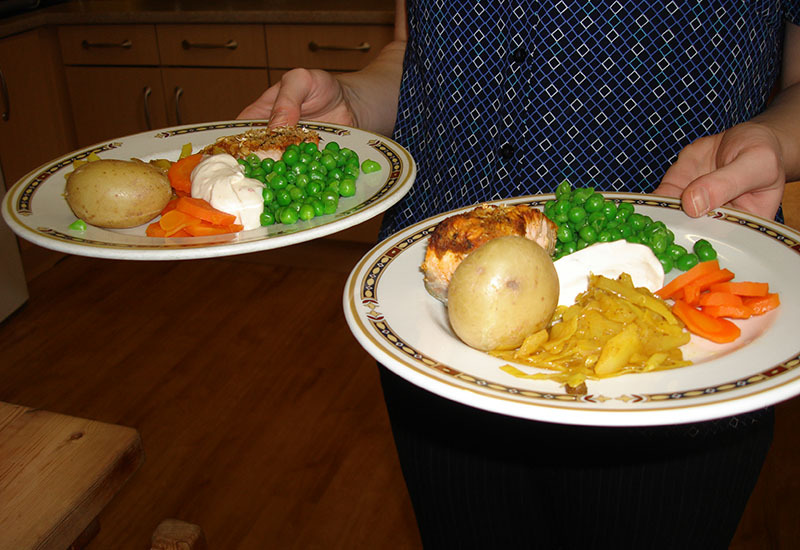 Food is freshly prepared and cooked on-site to a high standard. 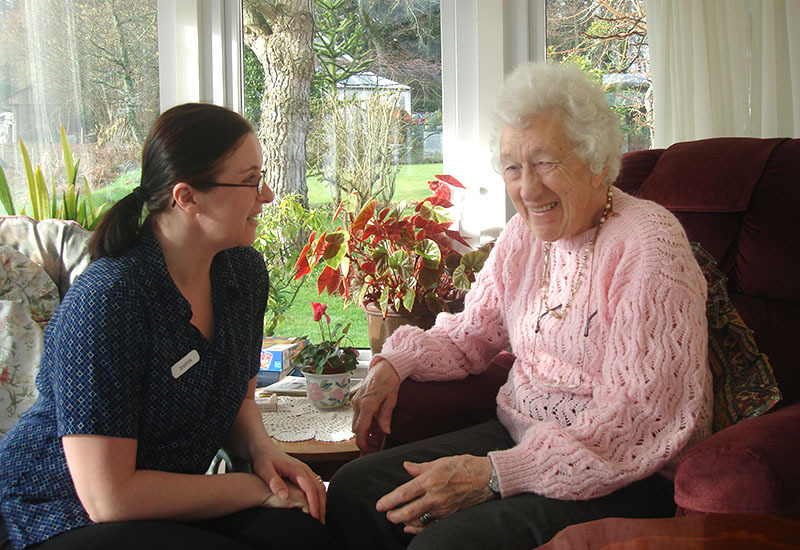 Our staff are friendly, caring and aware of Residents’ needs. We take time & enjoy getting to know Residents on a one-to-one basis. Tracey House is run as a home, not an institution. See our Testimonials now. Nestled on the edge of the beautiful Dartmoor National Park and with easy access by road, Tracey House offers an holistic approach to the care of our Residents considering physical, social and spiritual needs. Tracey House is also very much part of the local community. With period styling & modern facilities historical interest features highly. Though the building dates back to 1870’s Tracey House has many modern features and facilities to make this a most relaxing care home. We provide beautiful and expansive garden facilities, large lawns, elegant Victorian Summer houses and beautiful ornamental features resulting in arguably the most lovely care home Devon can offer. Fine Devon care homes need to offer residents the professional safeguards required in the mature stages of a person’s life. As well as being members of the National Care Association we take our professional responsibilities extremely seriously, striving to offer care of the highest order. We like to reassure prospective residents, their friends and family that we will do our utmost to ensure that their stay with us will be a pleasant and fulfilling one. 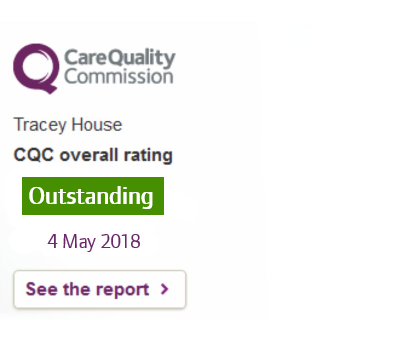 At Tracey House we offer high standards among care homes in Devon. 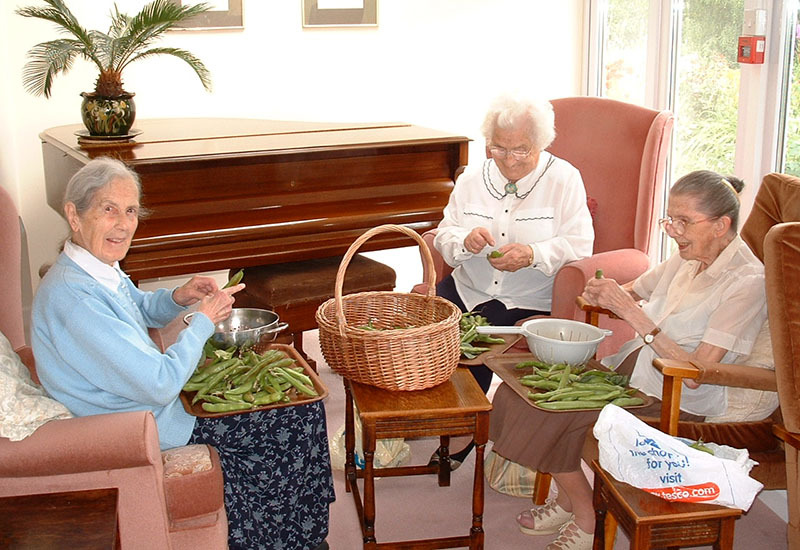 We aim to hold elderly people in the highest possible esteem and to offer a rich quality of life, with the greatest freedom of choice and independence consistent with their needs and abilities, in the safety, comfort and love of our home.